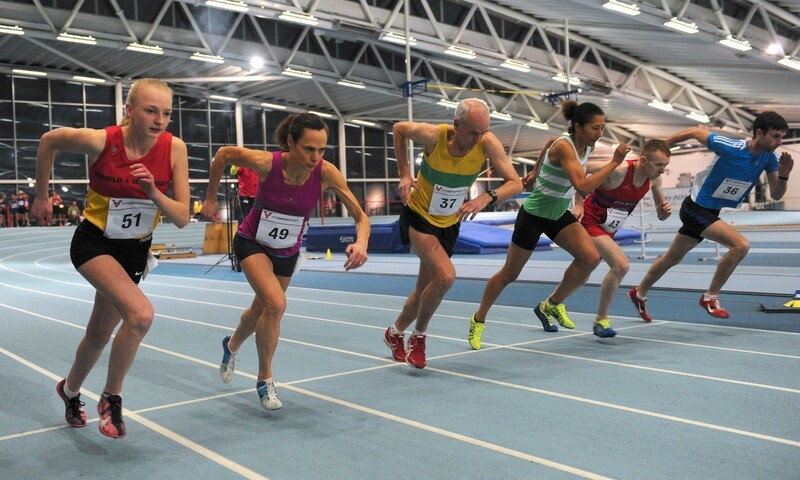 Clare Elms and Ros Tabor both broke indoor world age group records at the Vivo Barefoot Dream Mile at Lee Valley on February 4. Making all her own pace, Elms (pictured above, number 49) timed 5:07.32 to take over a second off American Monica Joyce’s previous world indoor record for a W50. Triple world masters indoor champion Elms was pleasantly surprised with the record as it was her first track race for a few months and she is currently in training for a marathon. European masters 800m champion Tabor had more pacing help and making full use of it she took over ten seconds off the world W65 record with a 6:05.85 clocking. It was also ten seconds quicker than the outdoor record. The previous indoor record was 6:16.26 by Marie Michelsohn and the American still holds the outdoor record at 6:16.28. The pick of the BMC 800m races was the win by James Bowness, who ran an indoor PB and track record 1:49.40. Jade Williams won the women’s 800m in 2:06.22. 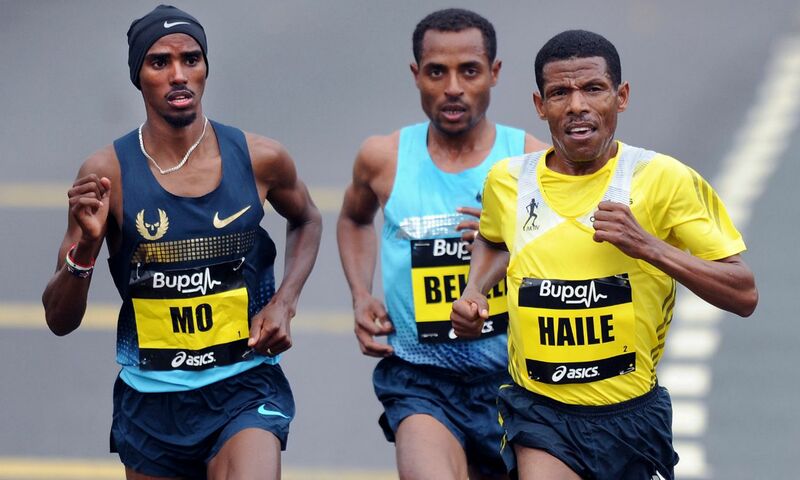 Official results for non-BMC events hadn’t been posted by Friday but Paul Pollock followed up his recent sub-eight 3000m with a clear win in the first men’s mile race in 4:06 and Fiona Fullerton was the fastest women’s miler, and well inside five minutes.